Attached with Gold Waterproof casing. Phor Than Lek Second Batch Daolit Phim Short Leg, Wat Ariyakiri BE252x. Blessed by Phor Than Lek’s disciple such as Chao Su, Chao Lor, Phor Than Nun, Phor Than Soon Wat Sukhontharam together with Chao Khun Chan Wat Uttamaram, Phor Than Daeng Wat Phikulthong, Phor Than Dee Wat Maisuwankiri, Phor Than Hua and others. First Batch Rooplor Phor Than Seng Wat Ban Trang BE2557. Nur Chamnuen, made 500 pieces only. Serial Number 350. It comes with original temple box. First Batch Nur Mai Jantan Rodbot NapranBoon Phor Than Seng Wat Ban Trang BE2558. The material is a 200 years old wood from temple. Bottom insert with Manora powder and soak in Manora oil. Made 1,000 pieces only, serial number 920. First batch Wood Palakit Luang Phor Dam Wat Mai Naparam BE2541. 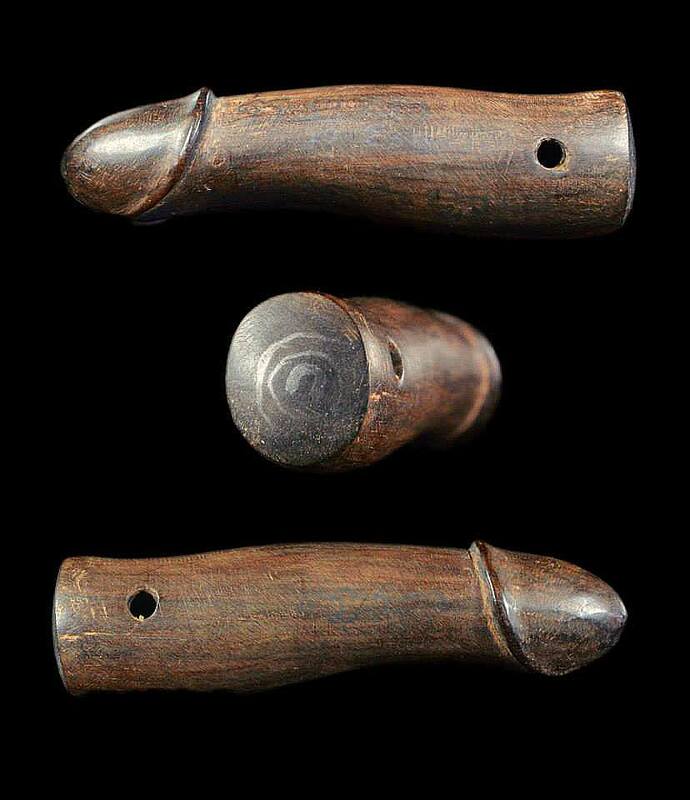 Length is 7cm. 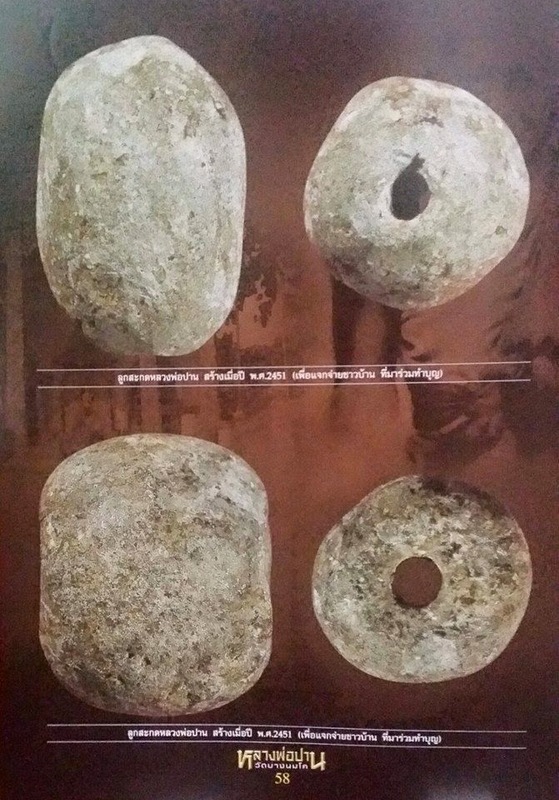 Takrut Nang Naphakseur Luang Phor Tey Wat Samngan BE2510-20. It comes with Standard Amulet Authentic Certificate. 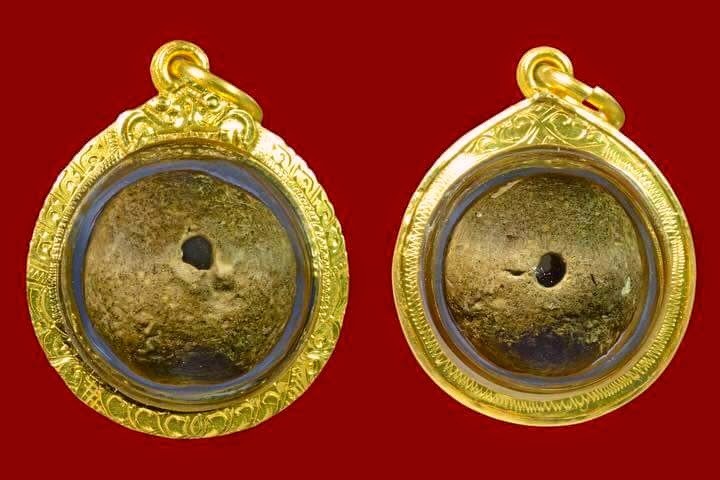 Mak Tui Luang Phor Iam Wat Nang BE2468. One of the Top 9 kreunglang recognized to wear in Thailand. 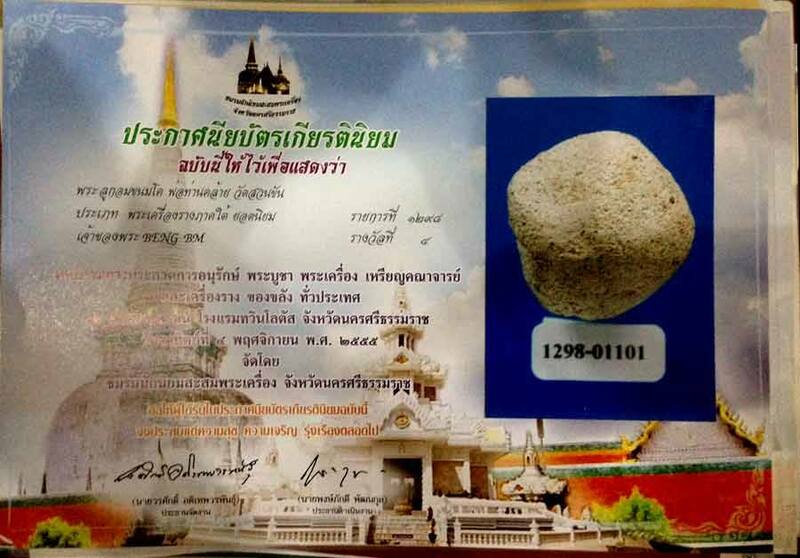 The best from Luang Phor Iam after his pidta amulet. 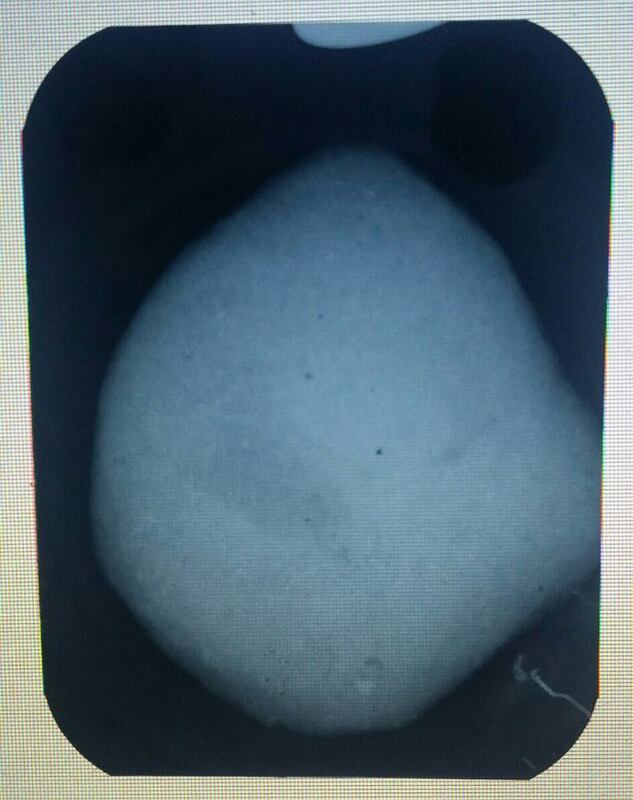 X-ray picture to prove this amulet was not broken and repair. It comes with Standard Amulet Authentic Certificate. Verified in Thailand Nakhon Pathom Grand Amulet Competition on 12th February 2017. Lop Om Num Kor Phor Than Klai Wat Suankann BE2492. It was made to hand out during the ceremony Receiving The Fan of Rank (Len Samanasak). Nur Phong mixed with white plaster from chedi, sand, bee wax and chalk. Phor Than Klai wrote yant on a thin paper, roll and inserted in this lop om. 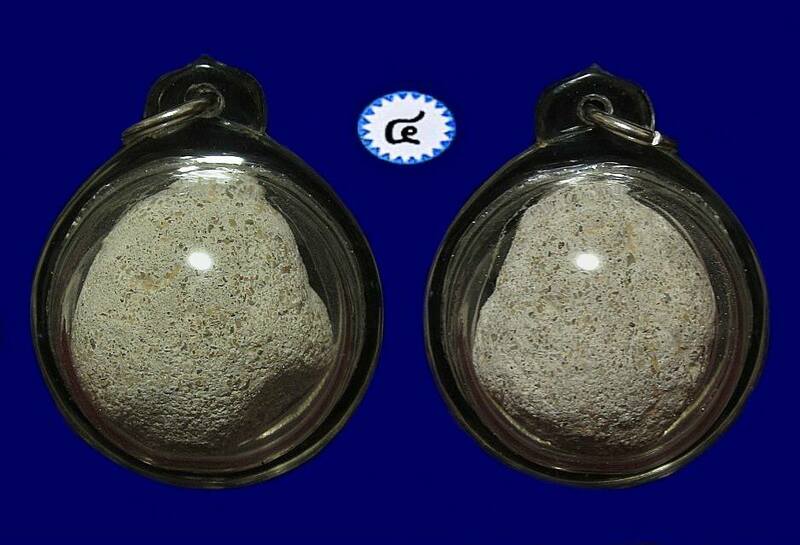 It won No4 Placing in Thailand Amulet Competition in year 2012. Luk Sakod Luang Phor Parn Wat Bangnomkho BE2451. Very rare in market, more value if compare with normal lop om. 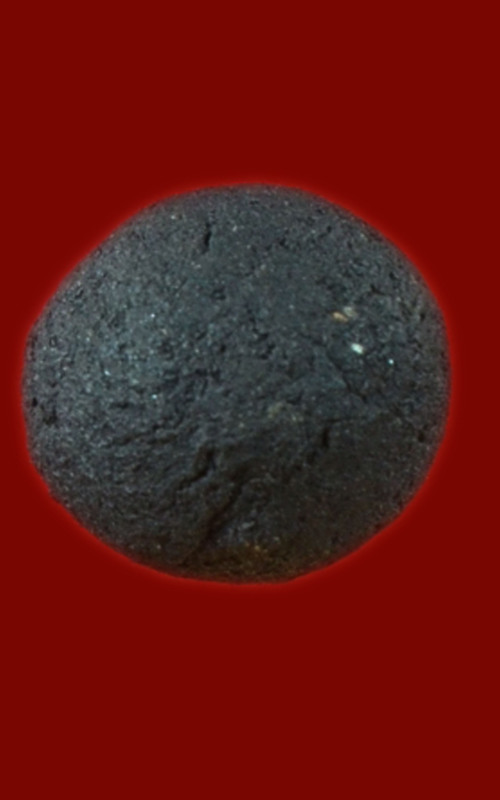 Material mixed with magical herbs, kesorn, holy powder from past gurus, 5 great powders (Phong Putthakhun, Itichy, Tri-singhe, Maharaj, Putthamang) which same as material used by Somdej Archan Toh, Somdej Pilan & Somdej Luang Phor Phoo Wat Inn. 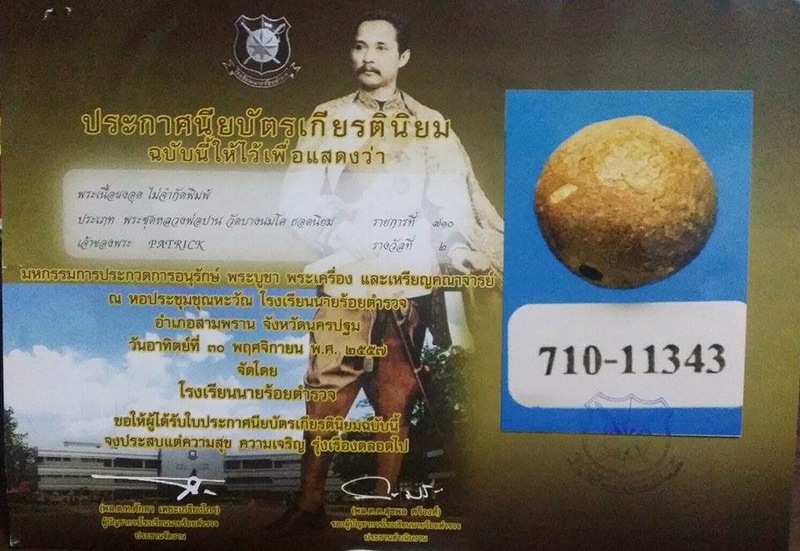 It won No2 Placing in Thailand Nakhon Phatom Amulet Competition on 30th November 2014. Attached with Gold waterproof casing. Lop Om Luang Phor Daeng Wat Simahapo BE253x. Nur wahn.